Creating an environment of Comfort and Cleanliness since 2010. 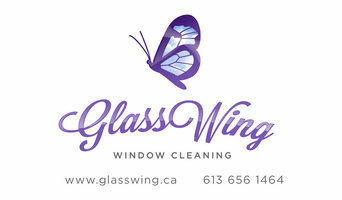 Providing our community in Ottawa South & Ottawa West reliable, efficient, and thorough home cleaning services. We take great pride in our work so you may fall in love with your home all over again! At Rideau Valley Cleaning, we prioritize building long lasting relationships with you, our clients. Our mission is to provide you with ease and comfort amidst your busy life. We provide individualized and custom services catered to your unique home and lifestyle. Being in business for nearing a decade, we never skimp on the small details and guarantee your satisfaction with the cleanliness of your home. We provide regular home cleaning packages starting at only $60 per visit! We cater to daily, weekly, biweekly, or monthly appointments according to your needs. We provide residential and commercial cleaning packages. In addition to regular clients, we also welcome the opportunity to work with realtors and homeowners preparing their property for sale. Providing a variety of cleaning related services for any situation. We come equipped with professional cleaning equipment and supplies so preparation is not required. Our focus is on a thorough and antibacterial cleaning of the home. In addition, we at Rideau Valley Cleaning care about the health of your family and our team so we supply both environmentally friendly cleaners as well as traditional cleaning products depending on your cleaning needs. Whether you are looking to have someone get up on a ladder and put a shine on your windows, clean out a year’s worth of grime from your gutters, or take a pressure washer to the exterior walls or deck of your home, we’re ready to help. And if you’re a Realtor with an Open House or Showing this weekend and you’re not sure if your house is showing as well as it should be, then you should give us a call. A full service Ottawa carpet cleaning service that serves customers in Ontario and Quebec. Most rug and carpets manufacturers recommend getting your carpet cleaned every 6 months by a certified technician. That extends the life of the rugs and carpets as well as improves the sanitation and quality of living for those living in the house. We are always striving to make certain that all our customers are pleased with our effective and budget-friendly services by very educated cleaners. In addition, we offer a wide range of other services including upholstery cleaning, rug cleaning, carpet repair, water damage restoration, sofa/mattress cleaning and more. We have professional technicians who are trained to clean wool, persian, oriental and other types of rugs, carpets and all the flooring surfaces in your home. For more info please visit us: Clean Carpets Ottawa 267 Richmond Rd #303 Ottawa, ON K1Z 6X3 (613) 702-4403 <a rel="nofollow" target="_blank" href="http://www.cleancarpetsottawa.ca">http://www.cleancarpetsottawa.ca</a> or follow us online for the latest great deals. A-Class Consulting provides valuation and advisory services to companies and litigation teams across Canada and in the United States. We have been retained to represent clients across a wide variety of industries including technology, manufacturing, commercial development, medical/dental practices, and professional services firms. Combining years of experience with a dedication to client satisfaction, NaturaClean Services Inc has established itself as the local leader in Commercial Cleaning, Office Cleaning and Janitorial Services. When it comes to Commercial Cleaning, Office Cleaning and Janitorial Services, no one compares to NaturaClean Services Inc. With years of combined experience, NaturaClean Services Inc has worked hard to build the trust of our clients in Ottawa, and beyond. 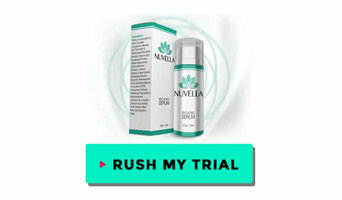 Visit our website to learn more. Or better yet, click the link and call us today! Configurez votre entretien ménager écologique personnalisé avec Ecovista, la mieux cotée à Gatineau. Réservation et paiement en ligne. We are locally owned and owner operated to give you Ottawa’s best in carpet cleaning. Our Carpet Cleaning process uses your choice of green cleaners or high quality effective chemicals on your carpets during their deep cleaning. Since we are owner operated we will not try to pressure sell our carpet & upholstery cleaning clients. We simply give you the proper information about carpet cleaning, and how your carpets can stay cleaner longer and allow you to decide what is best for you. We have been referred to as Ottawa’s carpet cleaning solution by the Ottawa sun. We have a 5 star reputation in the carpet cleaning industry. We give every client high quality work, with amazing results in most cases depending on current condition of the carpets. We cannot create miracles though we make our best efforts to. We also will not try to swindle you like some of our competitors may have in the past or present who claim to be the best, it seems all carpet cleaning companies in Ottawa are the best, but we both know that is impossible. Choose Clean Freaks Ottawa for your carpet cleaning needs, and we guarantee you won’t be disappointed. 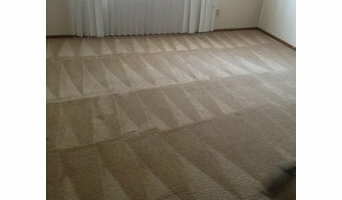 We will give you our best efforts along with the best in carpet cleaning technology in machinery, tools and products. At Best Price carpet and upholstery cleaning we strive to provide you with the best price and quality so that you get the best value for your money. We offer 2 different packages to fit everyone’s budget and desired cleaning needs. We offer new technology steam cleaning with the Rotovac 360i deepest carpet cleaning in the world! Most carpet cleaners use the manual wand with only one vacuum pickup, but we suggest the Rotovac 360 degree deep carpet cleaning system with 3 cleaning heads and 3 vacuum pickups with maximum agitation, extraction of moisture and dirt removal. We also offer green alternative products at no extra cost for clients requesting a green cleaning, and traditional steam cleaning with the manual wand for those customers who are more comfortable with what they know and are used to. For upholstery cleaning we provide low moisture steam cleaning with quick drying allowing for shorter down times. In many cases after a few hours of us leaving your home your carpets and upholstery are dry. The Parliament Cleaning Group services Eastern Ontario with residential and commercial fibre cleaning services and products. We are certified members of the Institute of Inspection, Cleaning and Restoration, a professional membership that is your guarantee of professional care and service. Has been in business for over 20 years (since 1994). Our team specializes in residential and commercial cleaning in the Metropolitan Ottawa area. We provide quality workmanship with the utmost professional customer service. Jaiko Cleaning Services is rated as an A+ Member with the Better Business Bureau, all staff is trained and certified through the Institute of Inspection, Cleaning Restoration and Certification (IICRC) as well as bonded and insured for your security. Our service is all-inclusive with no hidden fees and our Carpet and Upholstery Cleaning Service includes a 12 month “Spot Free” warranty plus a complimentary refillable spot removal kit. We use green products for your safety and our environment. At K1 Cleaning Service Ottawa cleaning is our business. It's what we do (and we do a lot of it) and we're really good at it. So why spend the time you could use honing your own skills or relaxing doing something as mundane as cleaning? Let us give you the freedom to get other things done. 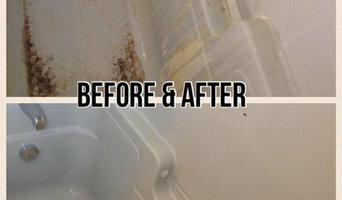 Hiring K1 professional cleaning service is actually an incredibly economical idea. We're able to get done twice as much cleaning in half the time, which means it would take you four times as long to clean your house as it takes us! With our competitive rates, we're saving you time and money! Residential cleaners in Ottawa, ON can provide routine cleaning, deep cleaning and end of lease cleaning. A routine service typically includes general tidying up, wiping down surfaces, dusting, sweeping, mopping, vacuuming, window cleaning and toilet cleaning. Microwave and oven cleaning, laundry and the cleaning of outdoor areas are usually additional extras. You may not have the time in between packing up and moving house, but a housekeeping professional can also provide end of lease cleaning, which typically includes everything from carpet cleaning to oven cleaning. Find companies in Ottawa, ON that provide skip bin hire, cleaning or rubbish removal services on Houzz. Scroll through this page to find a domestic cleaner, rubbish removalist or furniture removalist in your area. Just enter your suburb at the top of this page to narrow your search. Get contact information or message professionals directly so you can ask about rates, and read customer reviews.